Are you a boy or girl between 7-11 years old? Interested in joining the largest world-wide youth movement? Being a Cub is fun and exciting! You learn new things, make new friends, do good turns to help people, and protect nature around you! Play and sing together with friends. Build things, discover and explore new places. Follow the story of The Jungle Book. Learn about plants, animals, cultures and technologies. Go camping or have a sleepover. 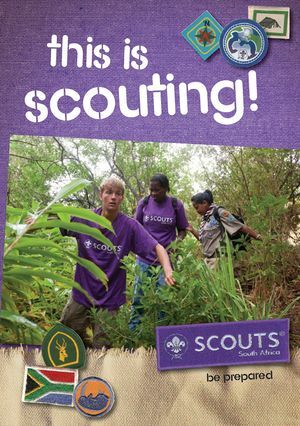 Ask your parent to help you find a nearby Cub Pack using the Scouts Near You page on our website. Visit the Cub Pack and meet the adult leader in charge - called "Akela" - who will introduce you to the other Cubs and make you feel at home. Come to a few meetings to get an idea of what it means to be a Cub. If you enjoy it (we're sure you will), and you decide to stay, your Akela will tell you what you need to do to wear a Cub uniform and officially become a Cub. We look forward to you joining us as we learn to do our best! This page was last modified on 19 October 2018, at 08:02.